The light today is beautiful. In Tucson they call it cloudy, in the Netherlands we would say it is a sunny day with some thin high clouds. The net result is enough light, and enough dimming from the clouds to get some contrast in the pictures. 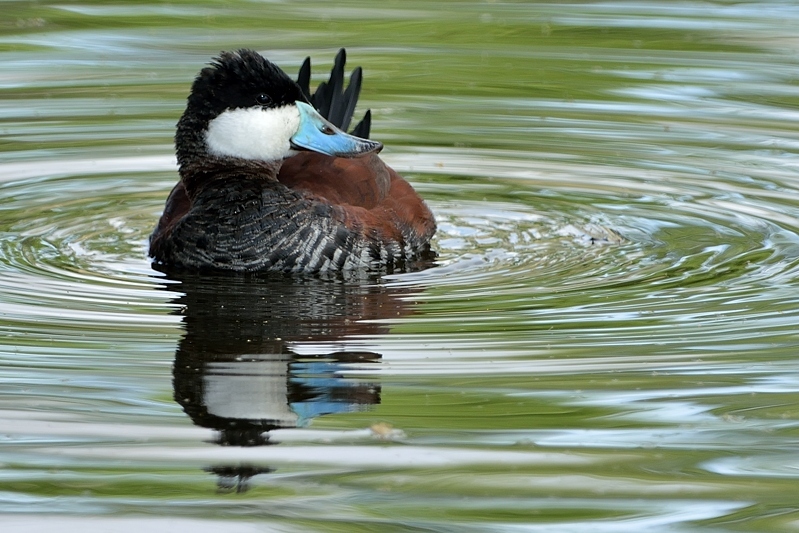 This light gave me finally the perfect picture from the male Ruddy Duck (Rosse Stekelstaart), whose colors are very hard to get right. I feel this picture finally does justice to the bird. 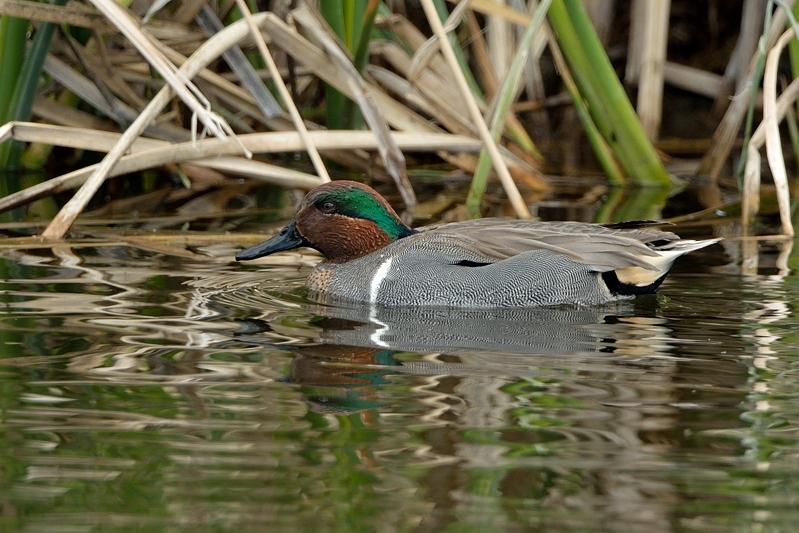 The green-winged teal (Amerikaanse wintertaling) is not nearly as hard to get right, but also for this bird the picture is better than last year. Not quite a duck, but ladder-backed woodpecker picture is also interesting because it is made with the 600mm lens with a 1.7 converter on top of it. After the Catalina Park I went back to Sweetwater Wetlands, always a sure place to get some good pictures. 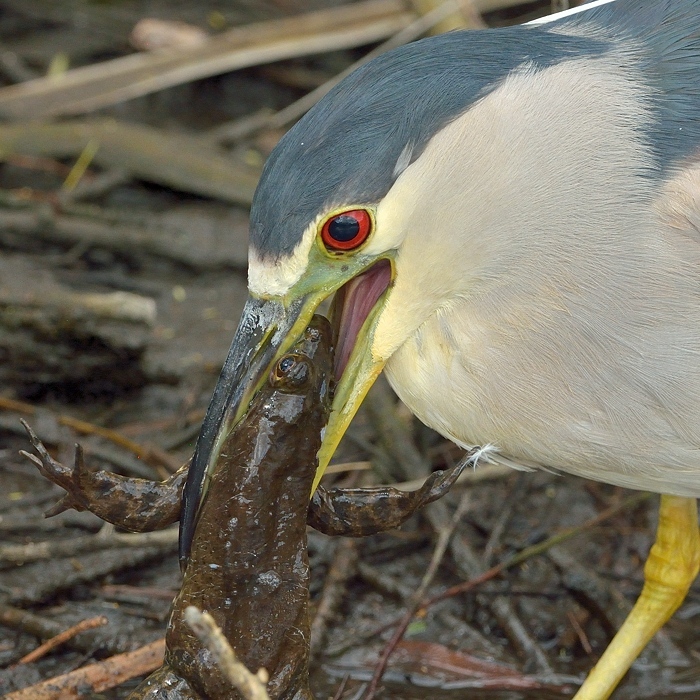 As I am doing my best on Cinnamon Teals, an old lady asks me: did you see the Heron with the big frog? 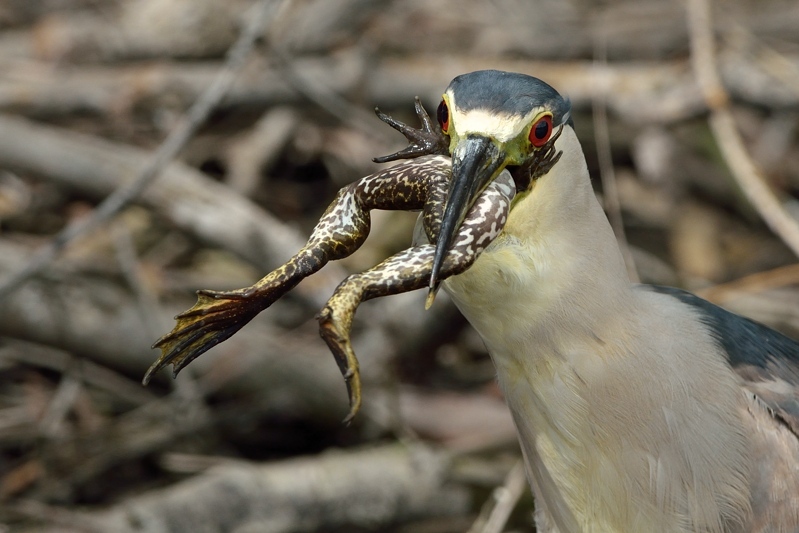 A black-crowned night heron managed to catch a big frog, but had hard a hard time swallowing it. 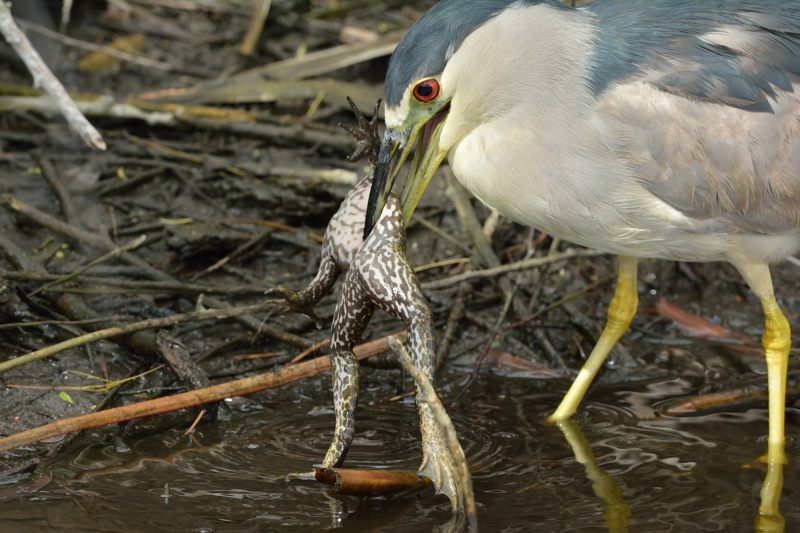 When I take the first picture the heron has been working the frog for quite a while already. He is starting a new round. 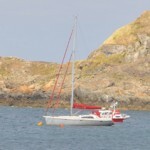 It did not get very far, so the heron tries it again. This time it is getting better, but there are clearly too many legs. Finally, the job is done and the heron seems quite content. You would think it is enough food for a days. 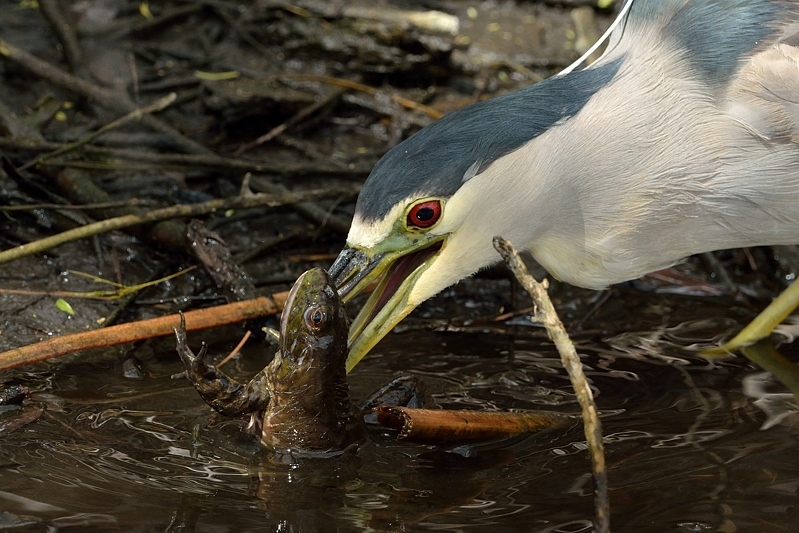 This is nature at work, too bad for the frog, but a good catch for the heron and the photographer. After a day with a guide I am on my own again. The first destination is Catalina Park, a park at the foot of the Catalina Mountains / Mount Lemmon on the north side of Tucson. 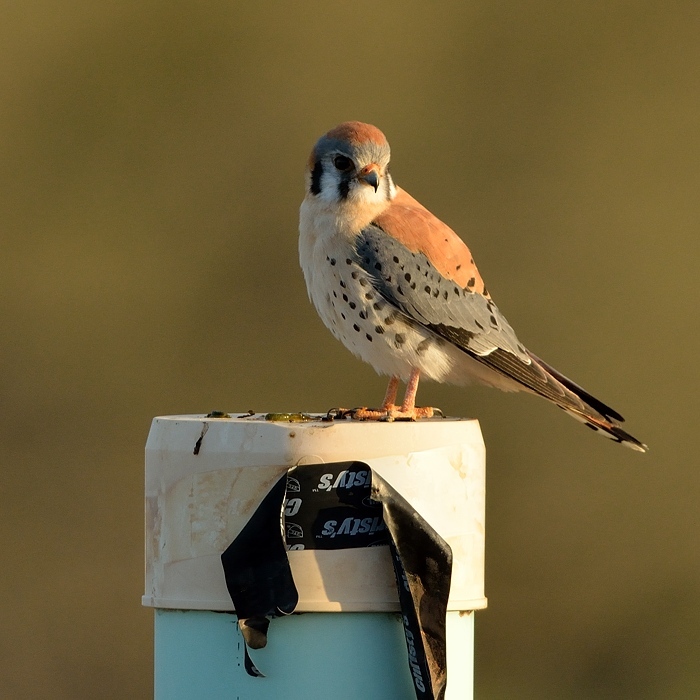 But as a I leave the hotel property an American Kestrel (Amerikaanse torenvalk) is posing, so I need to take his picture first. The Catalina Park turns out to be very busy with hikers and people walking their dogs. Not the best environment for birding. Still, some pictures from the trails. First a nice portrait of a Chipping Sparrow (Musgors). 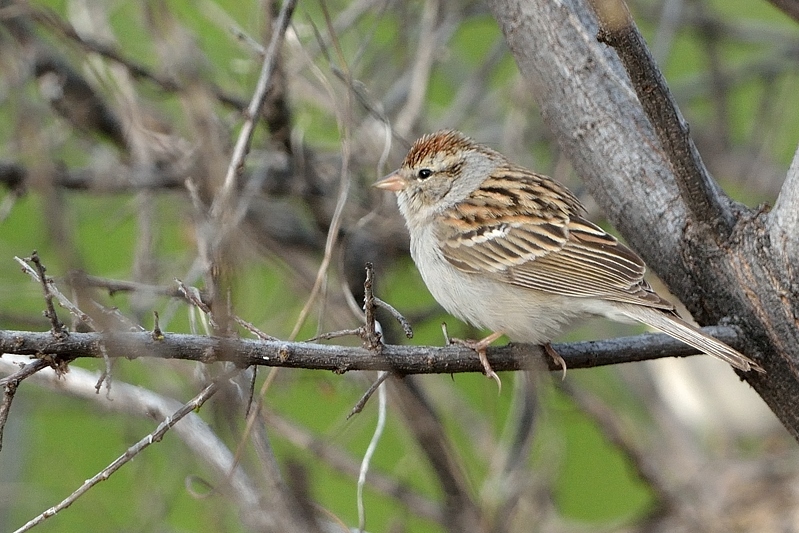 There are many chipping sparrows along the creek in the park. 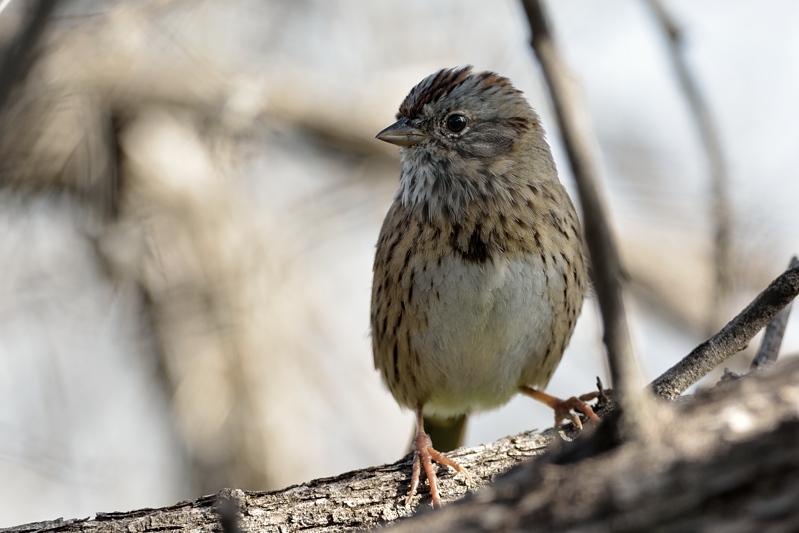 A song sparrow (Zanggors), with its characteristic dark brown patch. In the park I found a Bewick’s Wren (Bewicks winterkoning). It looks like he is collecting stuff for his nest. The pick-nick area is still empty. A group of Western Bleubirds (Blauwkeelsialia) is looking for food, and they seem to be used to people on the tables. 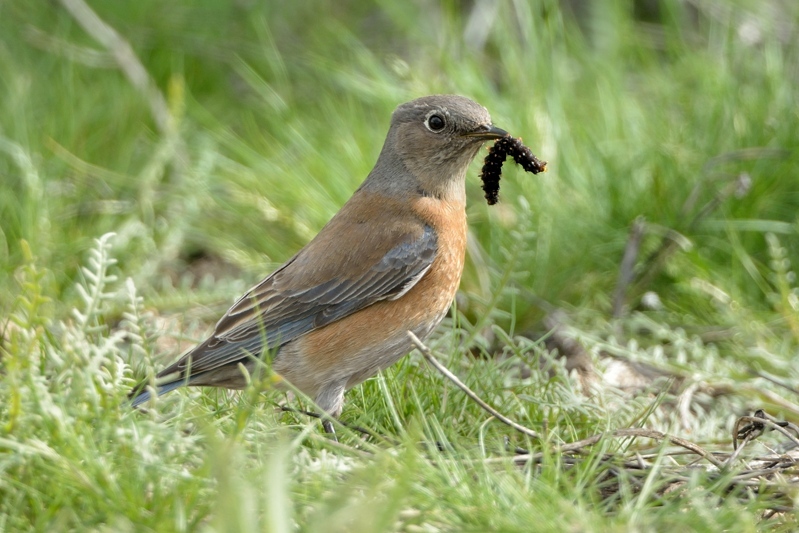 A nice opportunity to take this picture of a bluebird with a fresh catarpillar. Aside from the Santa Rita Lodge there are more Lodge on the road up the Canyon. 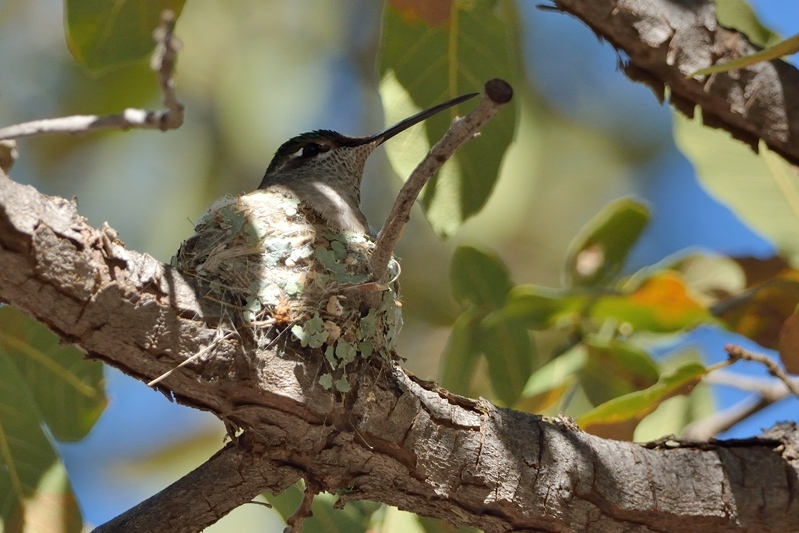 The next lodge had the nest of a Magnificent Hummingbird in a tree above the road. Quite a nice spot for nest photography. Our next stop was again a the Red-breasted Sapsucker (Roodborstsapspecht), it was still hugging the same tree. Although a nearby Acorn Woodpecker was trying to chase him away. Sometimes that worked, which allowed me to make another nice shot on a different tree. Still the same bird though. After our visit to the sapsucker, we did walk a bit in the area. 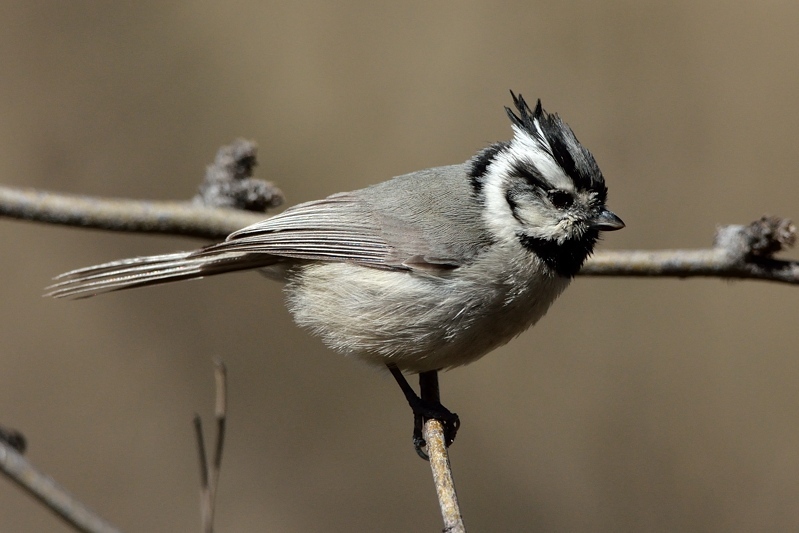 This gave me another shot at the Bridled Titmouse (Harlekijnmees). 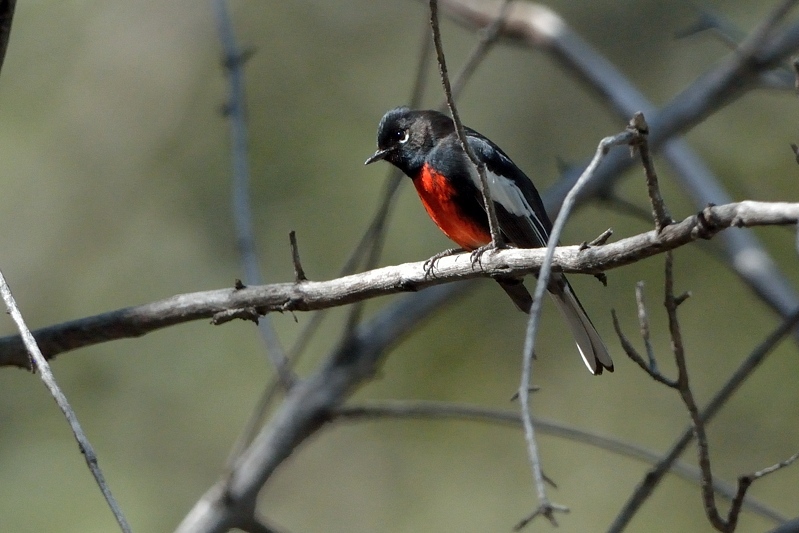 In the Canyon near the creek our guide heard a Painted Whitestart (Roodbuikzanger). 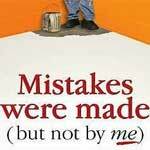 Finding it was not hard for her, but making a picture was a lot harder for me. After following the bird for a while, it did work out quite nicely. Also flying from tree to tree was a Hutton’s Vireo. 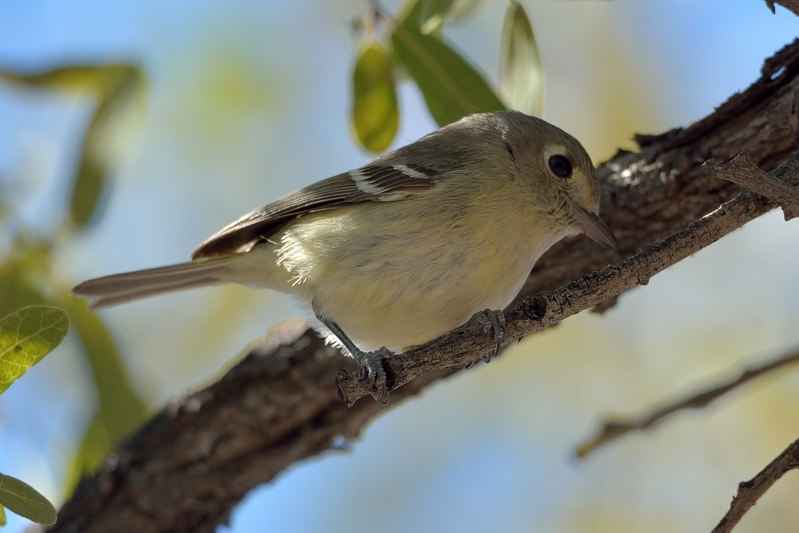 Like all Vireo, they have a tendency not to sit still, and to stay high in the trees. Later in the day, I found a more cooperative vireo. While we had our lunch, a group of Mexican Jays was hoping to get some leftovers. This gave me a nice opportunity for a portrait shot. Further down the canyon we went looking for more species. 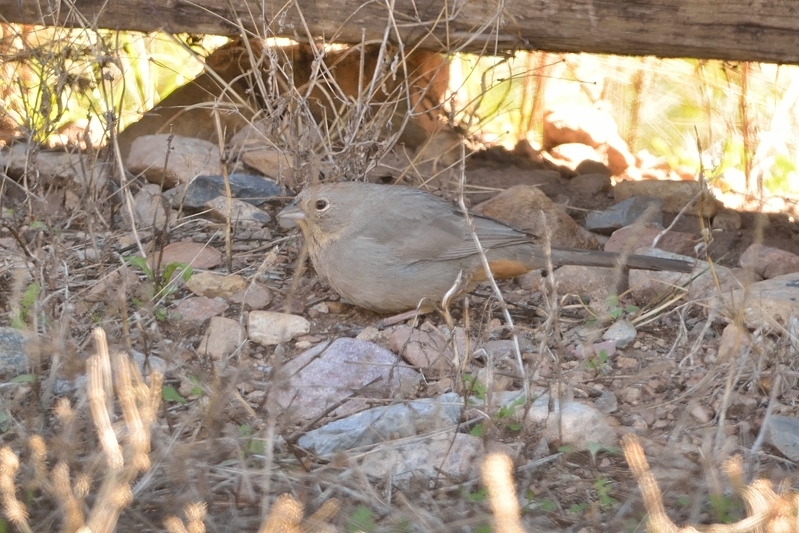 First new species for me was the Canyon Towhee (Bruine towie). It was fairly far away in the shade unfortunately. 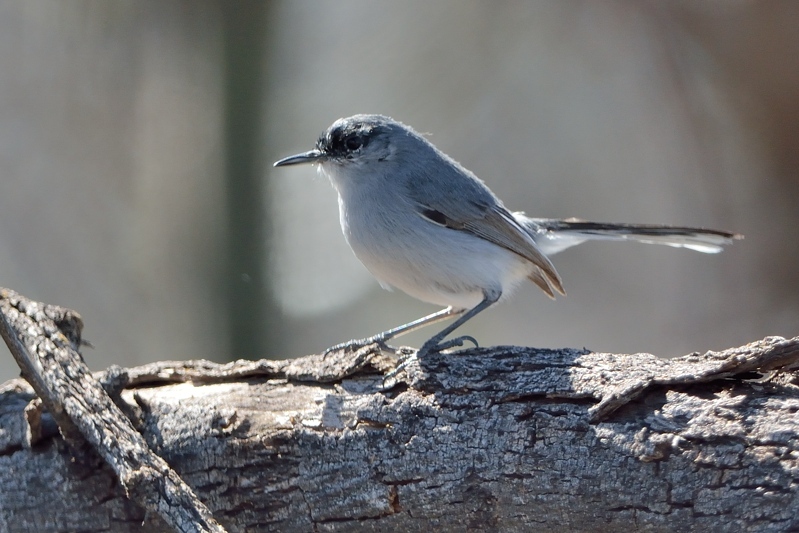 The guide knew about Black-capped Gnatcatchers (Zwartkapmuggenvanger), and she did find them too. It helps so much when you look for the small birds if you can find them by voice. 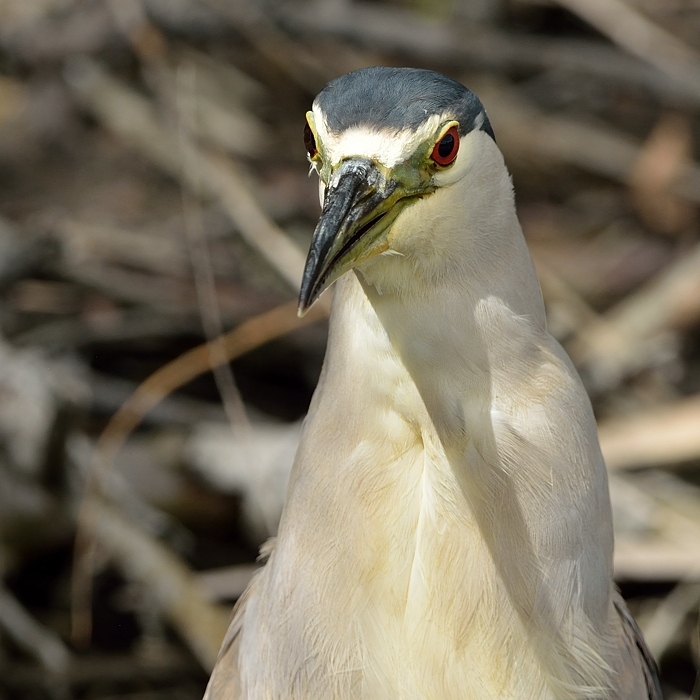 This is actually a fairly rare bird, that only occurs in the southernmost parts of Arizona. 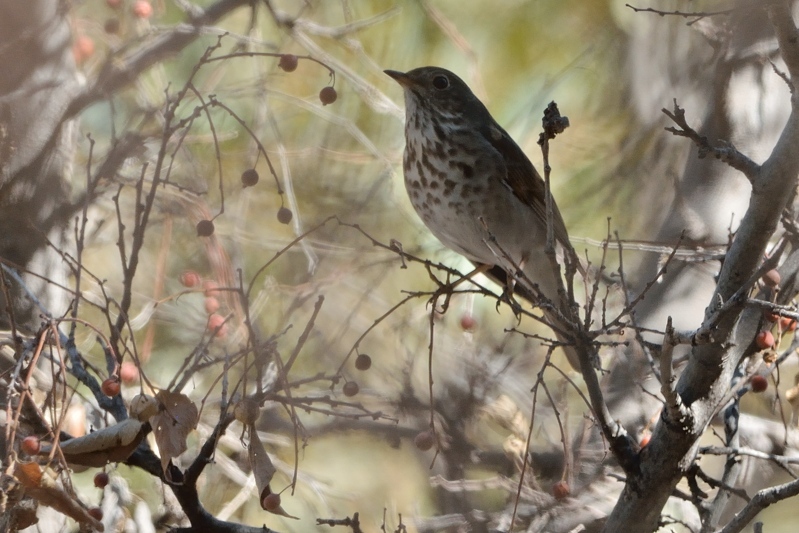 This Hermit Thrush (Heremietlijster) picture looks a bit like an old painting of a Saint. All the light behind the bird makes it quite special. 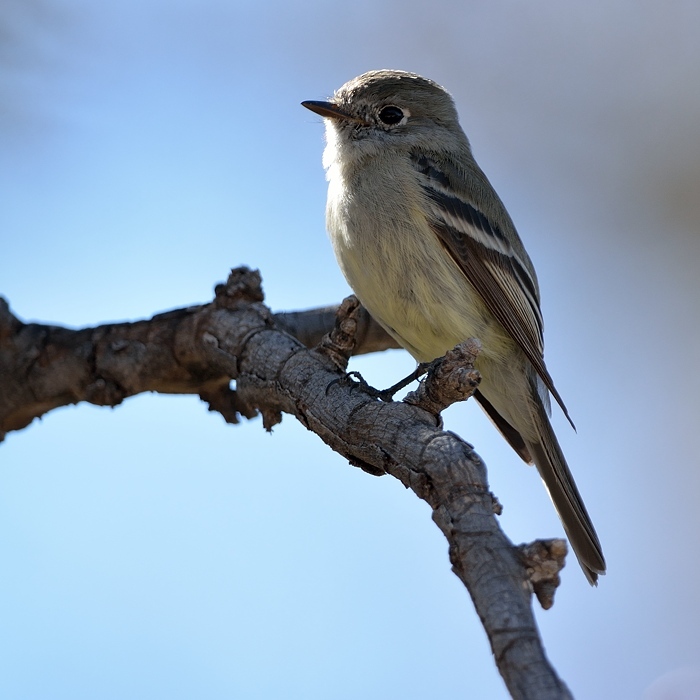 Flycatchers come in many flavors, the flavor we found was Hammond’s Flycatcher (Sparrenfeetiran). One of the small species that looks like all the other small flycathers. Last bird for the day was Hutton’s Vireo (Huttons vireo). This time the vireo posed just long enough for a picture. The Santa Rita Lodge is a hikers lodge in the Madera Canyon. Aside from being a lodge, they also have many bird feeders. So many that the Lodge became a birding hotspot, the place to see many species that otherwise require a long hike and more luck. It is indeed a very good place for bird photography. Just install the camera on a tripod and start clicking. 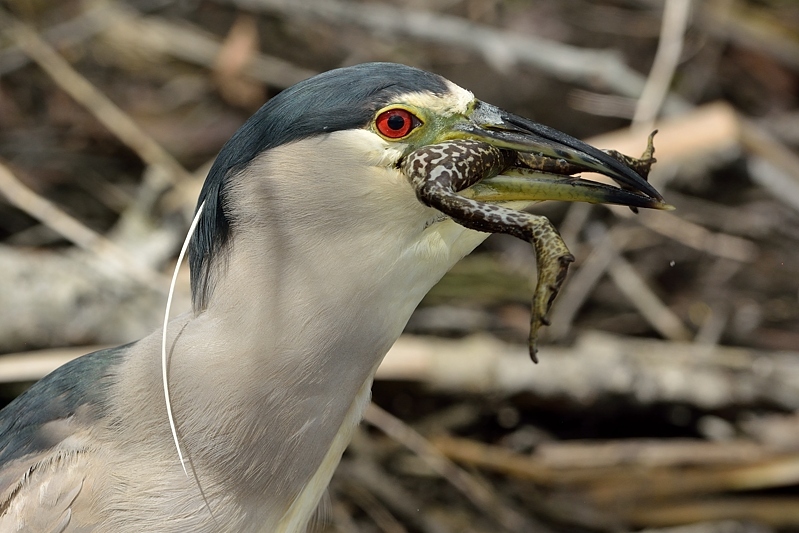 The only problem is that birds are sometime too close, within the minimum focus distance. 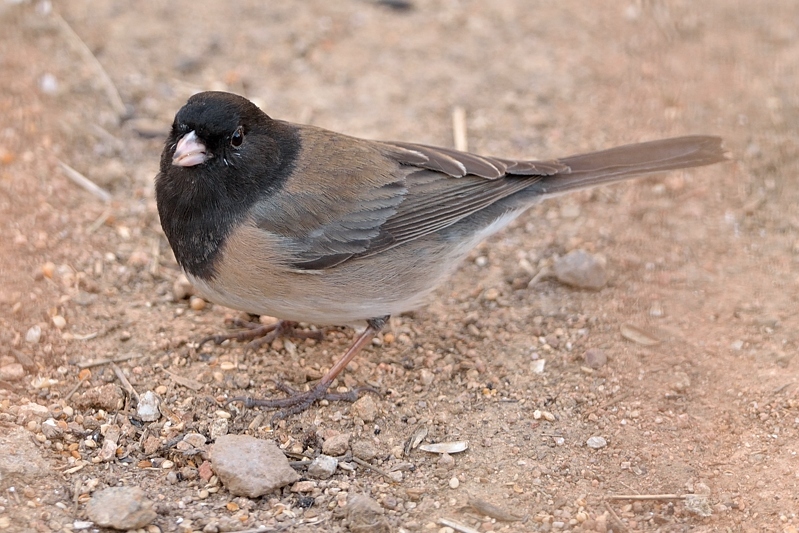 There are many Dark-eyed junco’s (Grijze junco). This is one of the species for which there are very different subspecies. 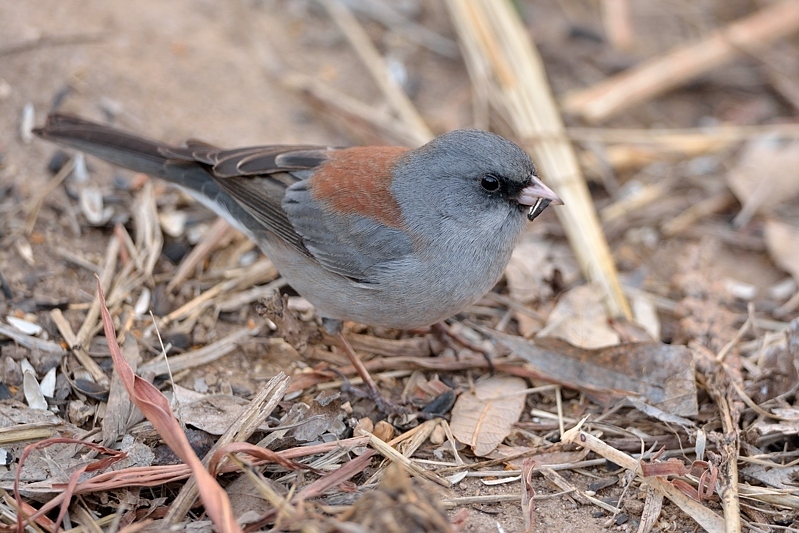 This picture shows the gray-headed junco. Below a picture from the Oregon subspecies of the Dark-eyed junco. 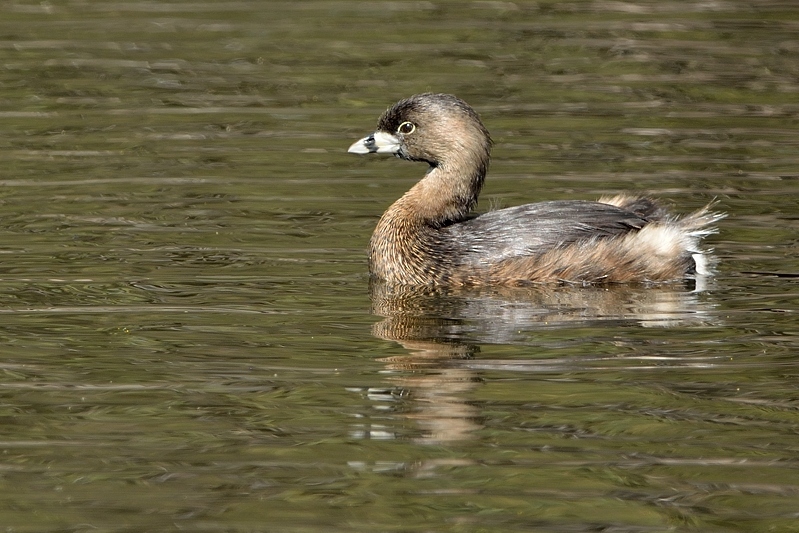 A bird with very different colors, mostly overlapping range, and still the same species according to the current classification. 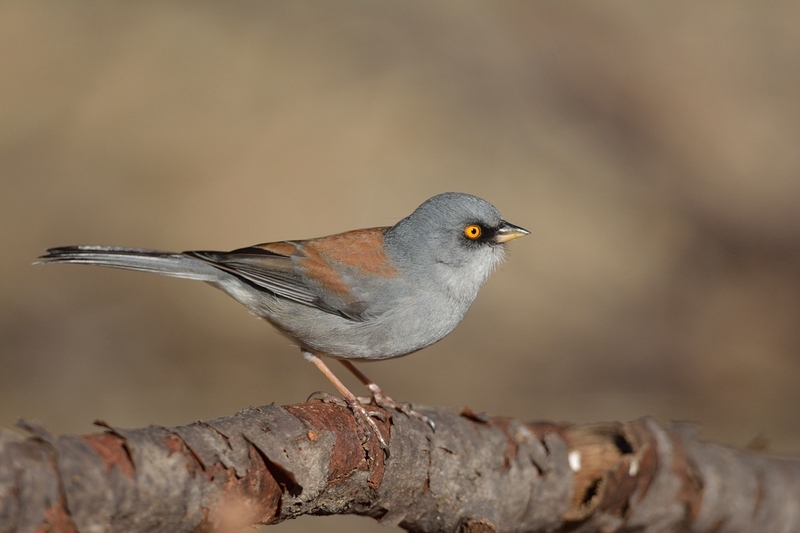 A different species for with the Madera Canyon is the northern tip of its Mexican range is the yellow-eyed junco (Geeloogjunco). That name is quite appropriate as you can see. 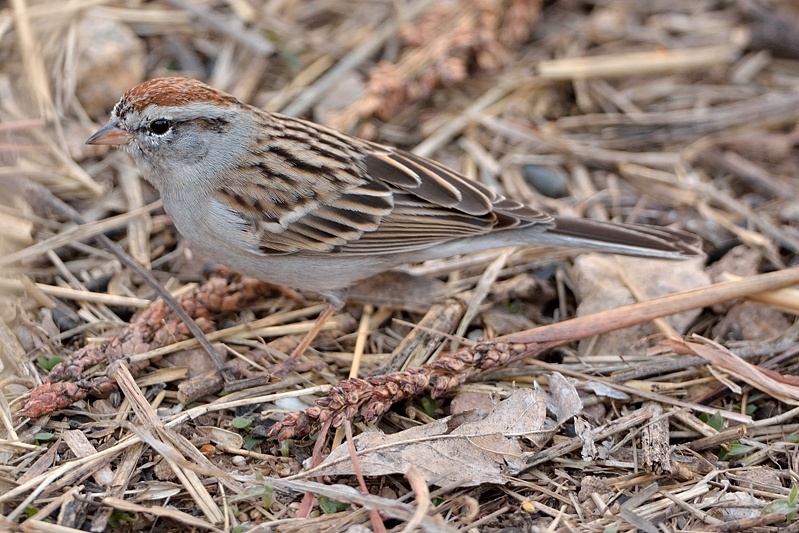 The Chipping Sparrow (musgors) was also a new species, even though is a common sparrow in all of the US. This trap I saw them at the feeders, but also the next day in Catalina State Park. 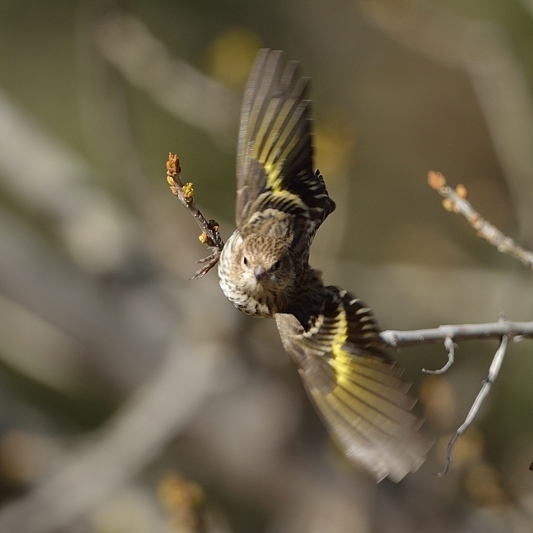 Also present in large numbers were the Pine Siskins (Dennensijs). First an action shot. 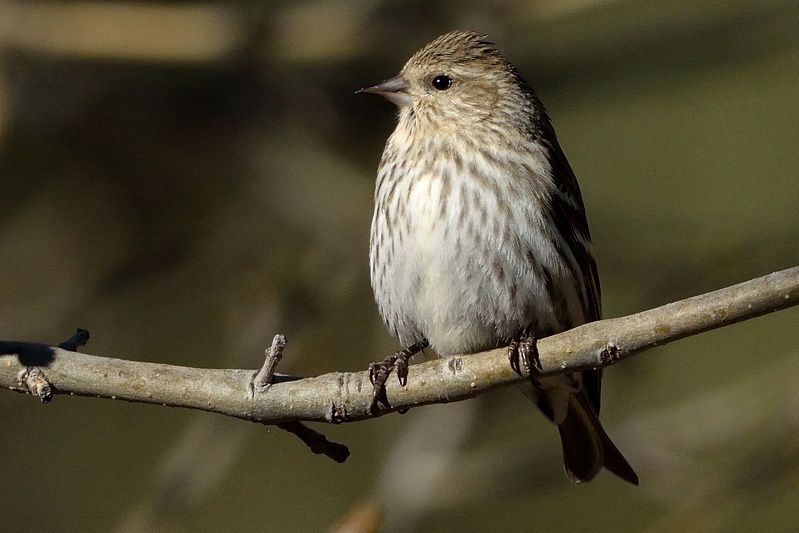 This portrait shows the small and very pointed bill of the Pine Siskin very well. 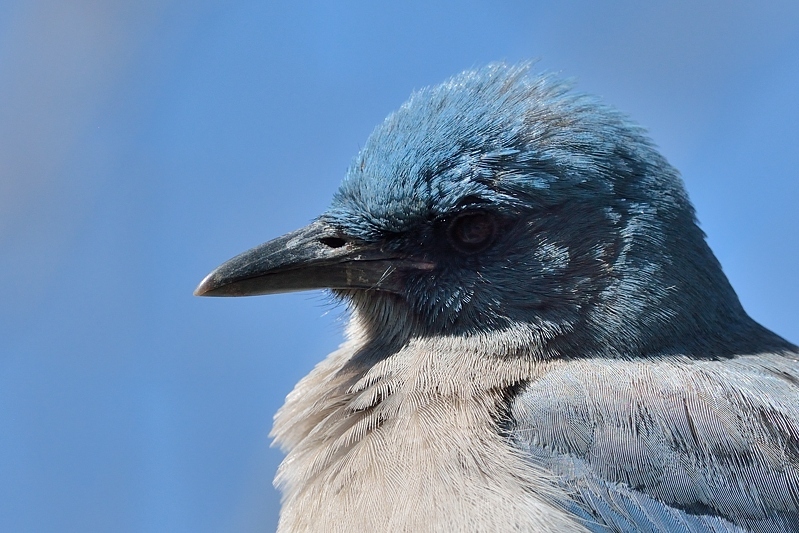 There are feeders for many different species, so Jays are also present. 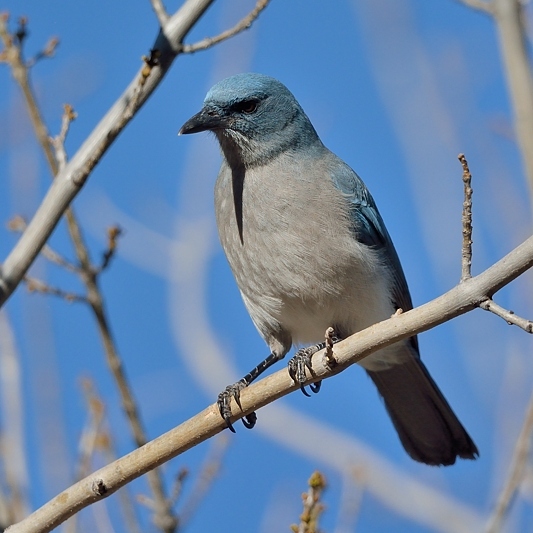 The species here is the Mexican Jay (Noord-mexicaanse gaai). Commonly found where there is free food, near feeders and pick-nick tables. 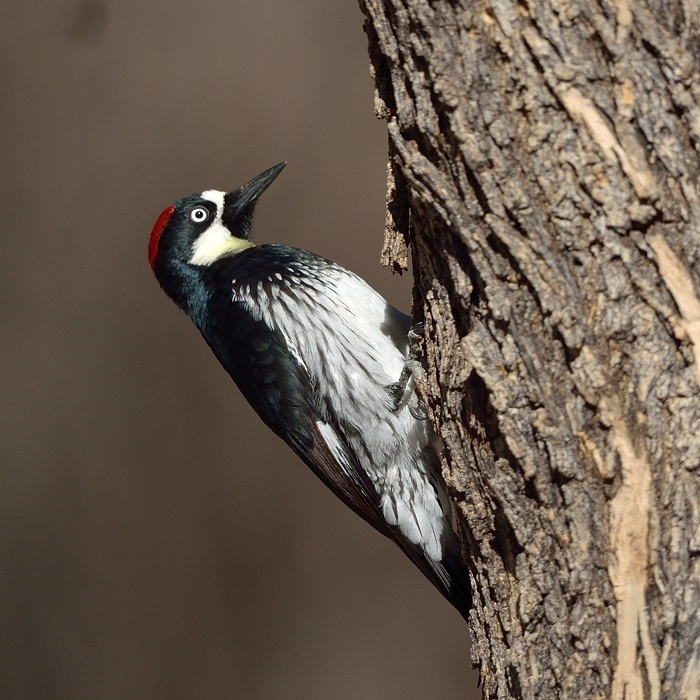 The Acorn Woodpecker (Eikelspecht) is one of the common woodpeckers in the Canyon. 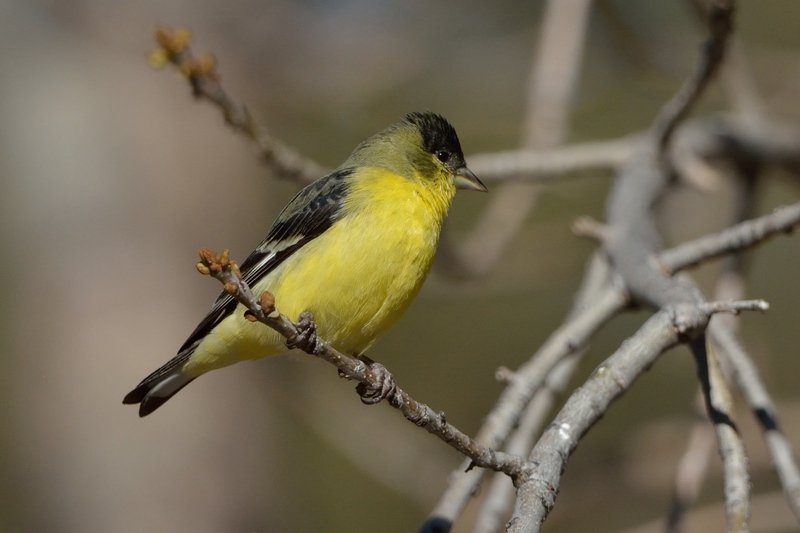 We saw them near the feeders, but also at the trail that follows the creek. 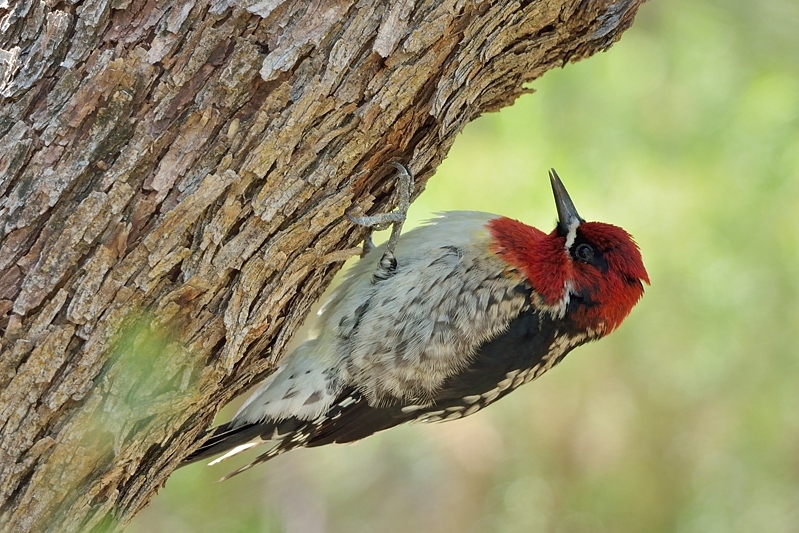 It is a beautiful woodpecker with a metal-glowing black back. 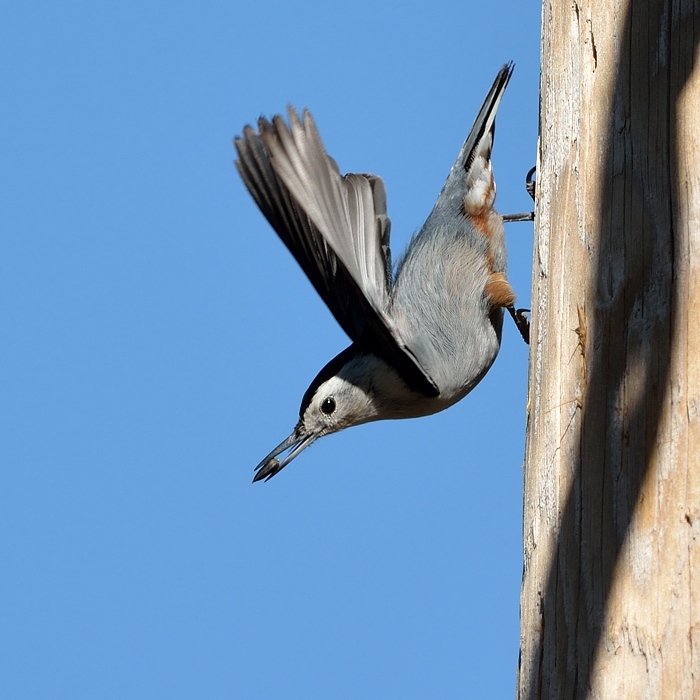 The white-breasted nuthatch (Witborstboomklever) did not care about the feeders, but it find the telephone pole very useful. 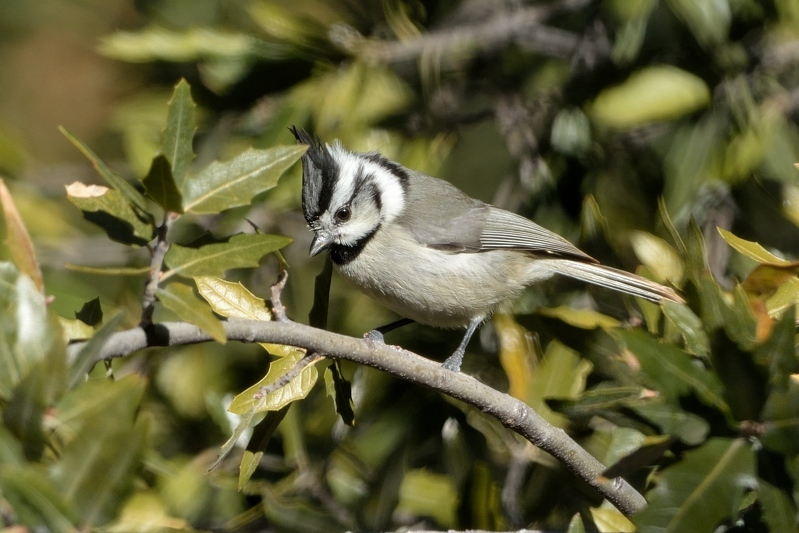 The Bridled Titmouse (Harlekijnmees) was another new species for me, like the yellow-eyed junco a Mexican species that reaches into Arizona. 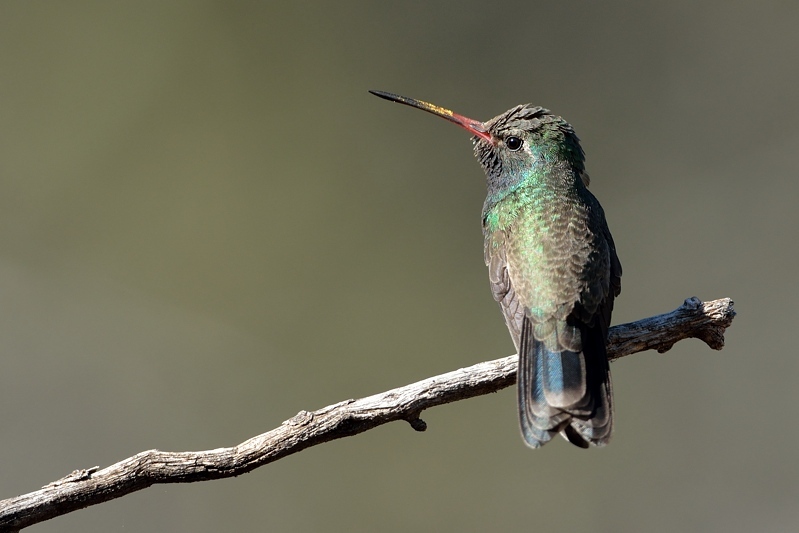 The Broad-billed Hummingbird (Breedsnavelkolibrie) is a bird from the American Southwest and Mexico. Like most hummingbirds quite stunning to see. And in this case the sun really does help to highlight the bird’s colors. This Wild Turkey (Kalkoen) is truly a wild bird, but a whole group of them came to visit the feeders as well. Free for all. 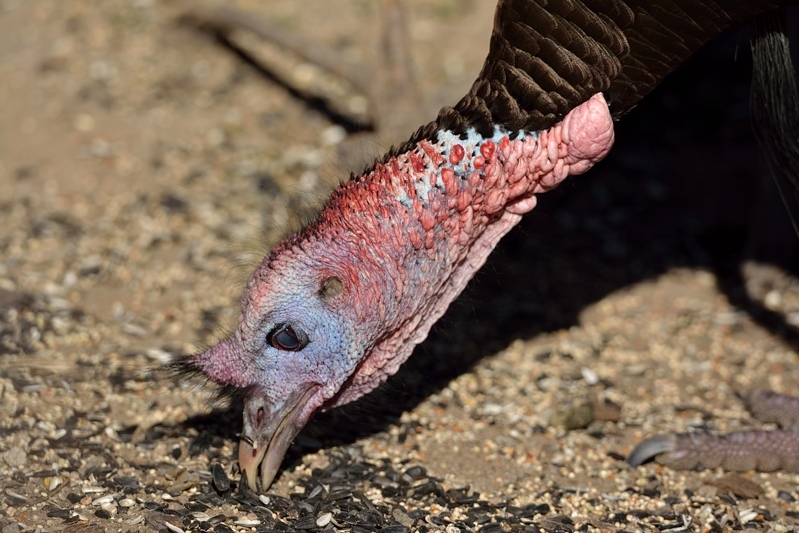 Turkeys were to big and close for the 600mm lens, so this became a portrait instead. The feeders are the Santa Rita Lodge are massive; there are many and they are big. 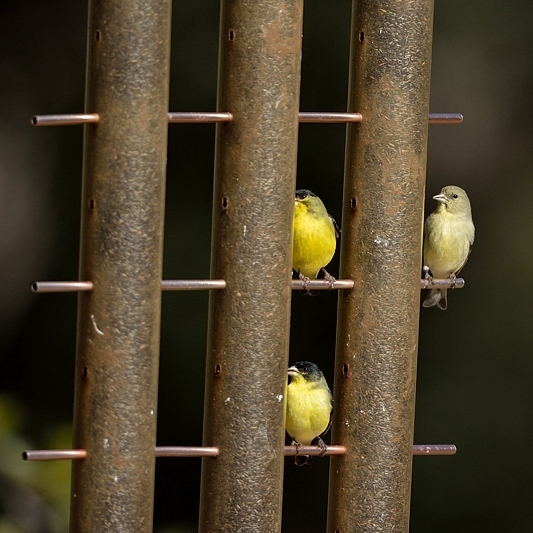 This shows one of the big feeders with Lesser Goldfinches (Witbandsijs) on it. Every other day all feeders are completely filled. The owner of lodge told us that this way the birds eat all seeds, when he fills daily they only what they like best. In this post, I like to show the birds that waiting on the feeder, it looks more natural this way. 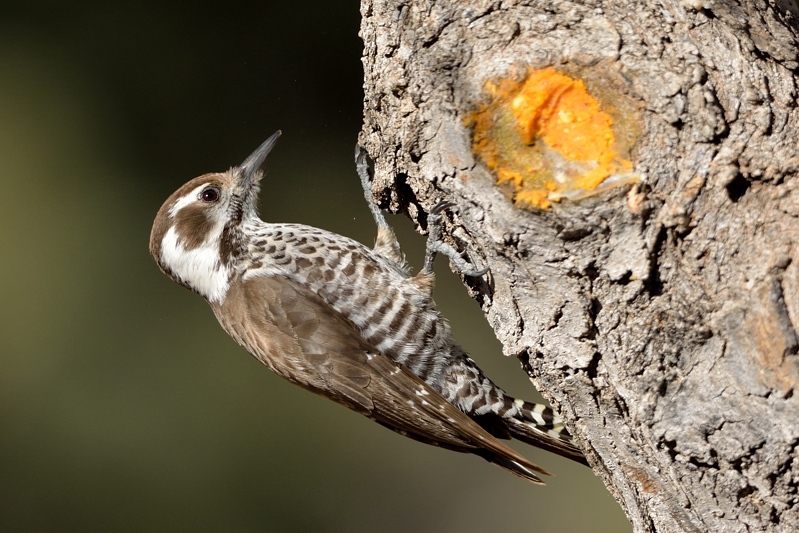 Woodpeckers do not care about seeds, but the owner of the lodge found a solution for that too: some kind of fat butter that they do eat. 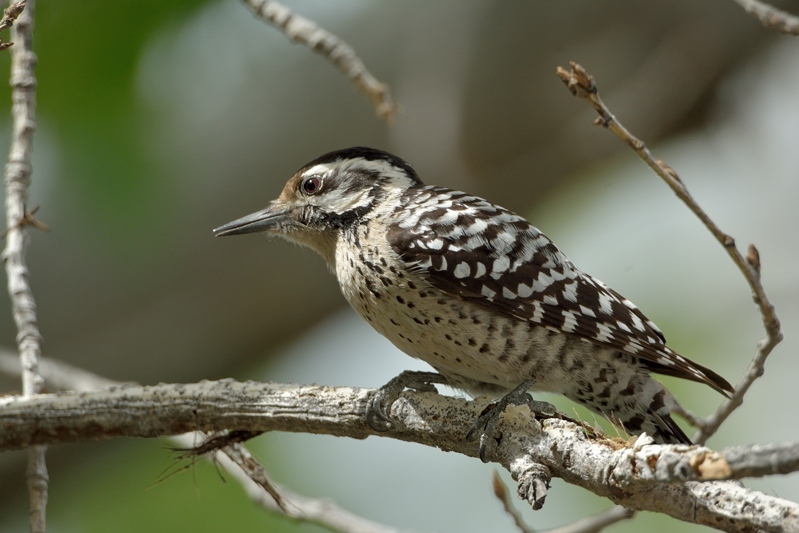 This is an Arizona Woodpecker (Arizonaspecht), a completely brown woodpecker. 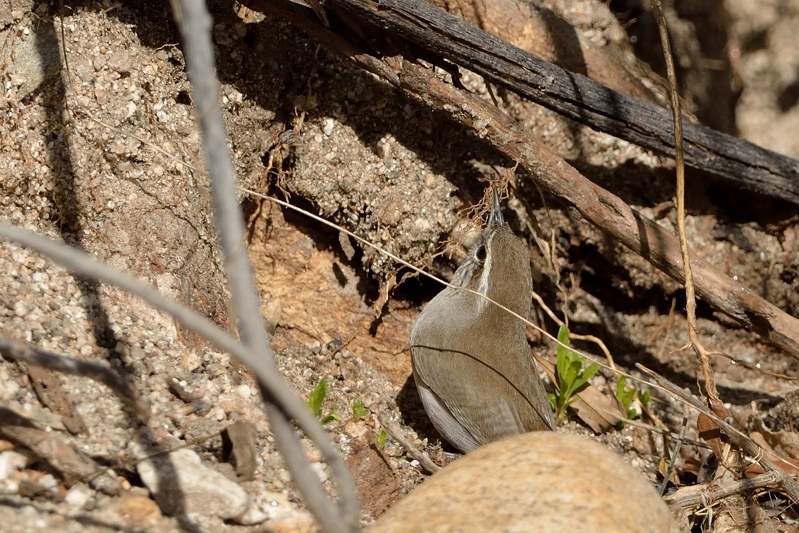 This is a female, the males do have a small red cap. © Gilbert Houtekamer. Blog site running WordPress with Twenty Eleven Theme (44 queries. 1.473 seconds, CCBot/2.0).